All-season recreational and tourism centre. 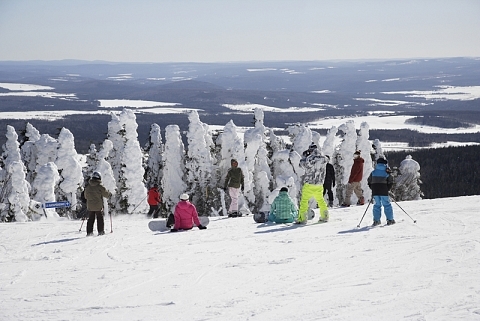 Winter: downhill skiing, snowboarding, 27 ski trails on 2 hillsides, new sector for backcountry skiing in the white zone, snowshoeing, cross-country skiing, snowmobiling, snow tubing. Summer: downhill biking (7 trails), biking trails (25 km), ATV trails (640 km), hiking, observation tower. Also available: mountaintop restaurant (upon reservation), cafeteria, accommodation, apartments and chalets (reservations mandatory), equipment rentals shop and reception hall (300 people). In the spring, watch skiers cross Picalo Lake: Aqua-neige, April 13 to 15, 2019.